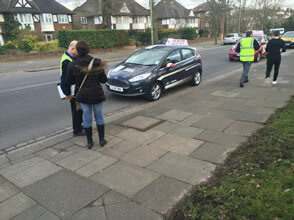 What is it: It is refered as an urgent situation for which very short notice is given to us (the driving school) about an existing driving test appointment already booked and you are looking to use one of our driving instructors to have them ready (up to driving test standards) for the short notice coming test . When is the soonest I can request to see an instructor to check my driving: We normally have a quick response for your case so do provide your availability on the form coming next that way we can get you to be seen as soon as. What's the best approach and what is your advice: If you haven't done this before and you have a little bit of time then we recommend going for what we call an hour assessment (read below) this will tell you exactly how many hours you are going to need before being up to standards for your driving test. We also strongly recommend that even if you consider yourself a good driver or has been driving in the UK under an international license that you should have at least 10 hours of driving lesson and that should get you ready for your test (statiscally speaking). We may make an advice exception depending on special circunstances and your current confidence as a driver. Driving lessons prices on your areas will show where it says "Prices and availability" at the top of the page or call us on 02074826940. Is my instructor flexible: We are very flexible we work Monday to Sunday 6am to 10pm which means we can take you even if you are working or studying, we work around your available time. What's an hour assessment: This is the best way to find out what you are about and what is needed to be up to standards, we basically want to find out what's your current driving like without much assistance from the instructor and advice you if you need to go for more lessons. 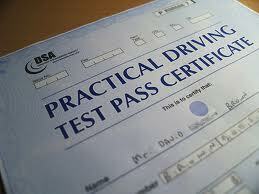 What next: Found out first if we can cover your test appointment date, time and place then choose between having an hour assessment £25 or start taking lessons straight away from which we will need a deposit of £50 towards your test hire (rental of the vehicle for driving test purposes) and therefore you can make sure we are keeping your test slot time free just for you only.